Welcome to October, CEO Olivia here. October 1st is National Black Dog Day in the United States. It was started by animal behaviorist & rescue advocate, Colleen Paige to raise awareness of the seldom discussed plight of black dogs. Like black cats, black dogs are passed over when people come to a shelter to adopt. Often it’s due to an old belief that black is associated with evil. How silly, yet this prejudice remains. Some people also find black dogs too intimidating looking. You know how I feel, a dog is a dog. 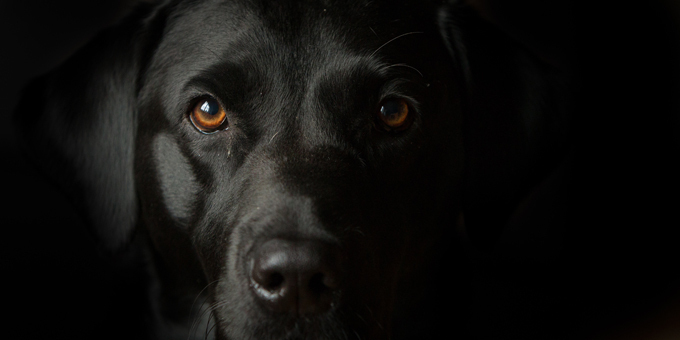 A black dog has just as much unconditional love to give as any other dog. If you’re thinking of adopting, remember, do your research, but most importantly, adopt, don’t shop. Maybe a beautiful black dog is waiting for you. Check out the official Facebook page for National Black Dog Day. There is a very touching story in the “about” section. We are big fans of National Black Dog Day though mostly we’re just fans of rescuing ANY colored dog. Thanks for sharing news on the plight of pets today.